As it's the last day of September, I feel it is now socially expectable to bust out the pumpkin scented candles right? And in the name of research (and possibly border line obsession), I have taken it upon myself to seek out the best of the best when it comes to pumpkin candles and here are my findings... you are welcome! 1 / Williams-Sonoma Essential Oils Candle in Pumpkin: In love with everything Williams-Sonoma, this candle doesn't disappoint! With hints of cinnamon, ginger, and nutmeg, this candles leaves a spicy aroma in the air. Perfect for a romantic night in, cozily sipping wine by the fire side. 2 / Yankee Candle in Spiced Pumpkin: This is a tried and tested, good ol' favorite of my. I mean, you can never really go wrong with a Yankee candle can you? I especially like to light this one before having friends over or after just cleaning the house since it gives the allusion of a delicious pie baking in the oven. The only downside, my cause sporadic pumpkin pie cravings! 3 / P.F. Candle Co. in Spiced Pumpkin: Comparable to it's Yankee counterpart, this one also smells of mouthwatering pumpkin goodness. This one however smells slightly less sugary and more cinnamony (which I prefer) and the packaging basically had me at first sight. 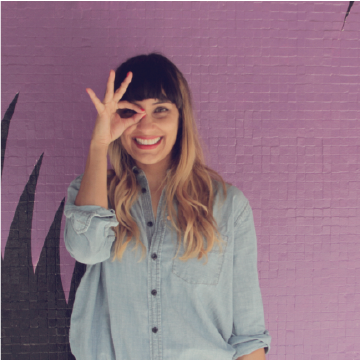 And it's locally handmade! A new favorite of mine that will definitely be sticking around for a while I think. 4 / Boulangerie Jar in Pumpkin Souffle: True to it's name, you may end up craving desert here too (am I sensing a pattern?) With sweet lingering smells of maple syrup and vanilla, this candle has that little extra something to set it apart from the traditional pumpkin candle we have all come to love. 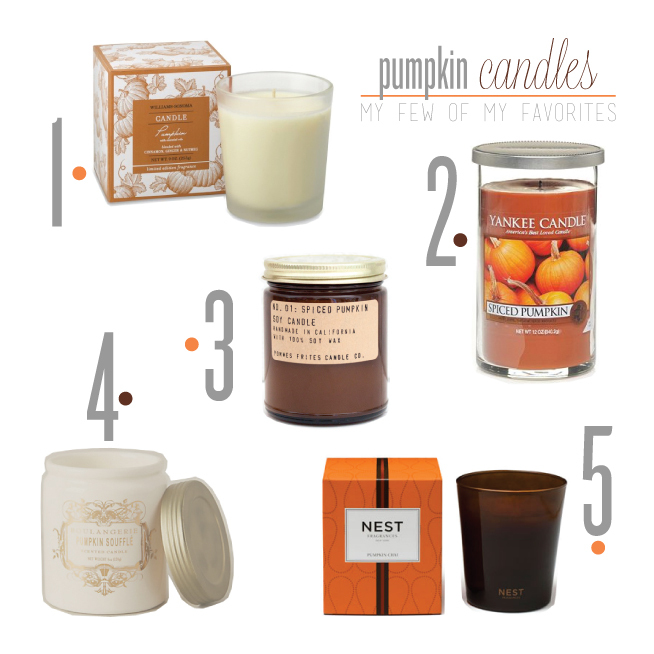 5 / Nest Candle in Pumpkin Chai: Obviously the splurge in the group and I am totally ok with that! This one is probably the least sweet smelling of the group which was a refreshing take on the pumpkin candle. Hints of spicy masala chai, cardamom, and ginger play down the sweet and instead extrude a mysterious, almost flirty aroma.